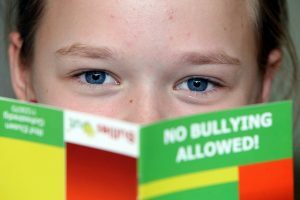 The latest research shows that more than half of all children are, at least on occasion, directly involved in bullying as a perpetrator, victim, or both. No child is immune. Children of every race, gender, grade and socio-economic sector are impacted. Victims of bullying have an increased risk of depression, suicide, sleep problems, poor academic performance, and substance abuse. Victims of bullying also suffer from social challenges and have higher rates of health problems. Bullying is defined as any unwanted, aggressive behavior like making threats, spreading rumors, attacking someone physically or verbally, or excluding someone from a group on purpose. Please join co-host Prentiss Pemberton and his guests as they discuss the impacts of bullying and look at what efforts are being taken to prevent bullying in our community.